With Friendsgiving (and Thanksgiving) just around the corner, I couldn’t help but think about what I wanted to contribute. 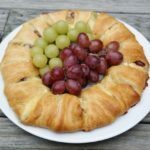 I personally love a good appetizer, especially one that everyone can share in together, so I created one using some of the most delectable flavors of the season. 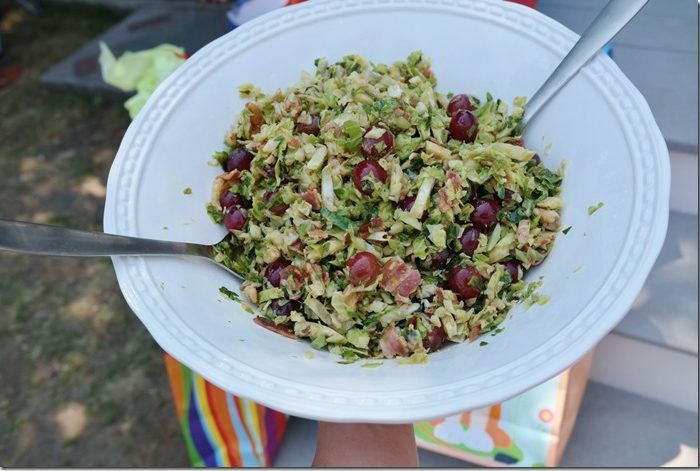 Grapes from California, in particular, were an easy choice. 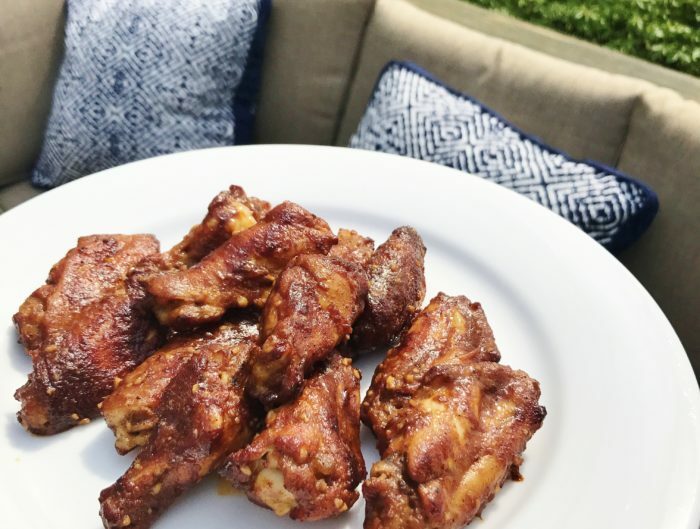 They’re in season right now, and they’re an ideal ingredient because they’re nutritious and give recipes a natural boost of added flavor and texture. 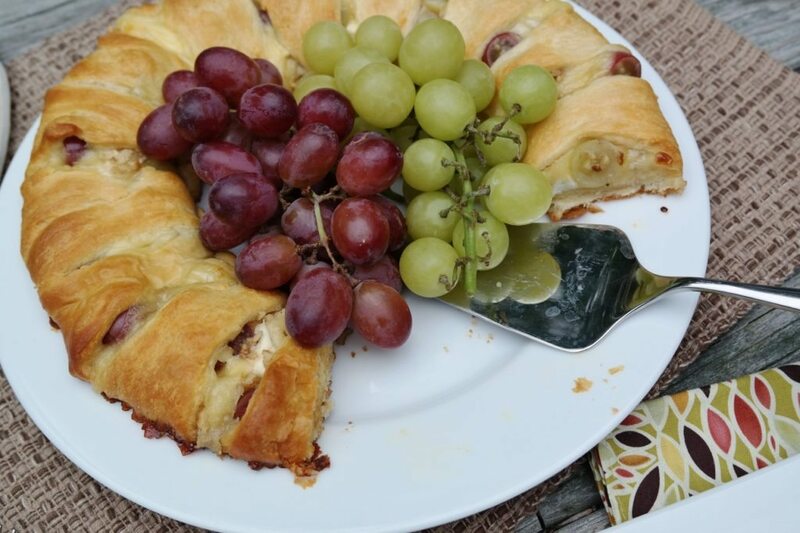 Brie cheese, walnuts, and honey were also an easy choice since they pair so well with grapes and fit right into the autumn season. That said, here is a tasty appetizer that you should most definitely add to your holiday recipe list. 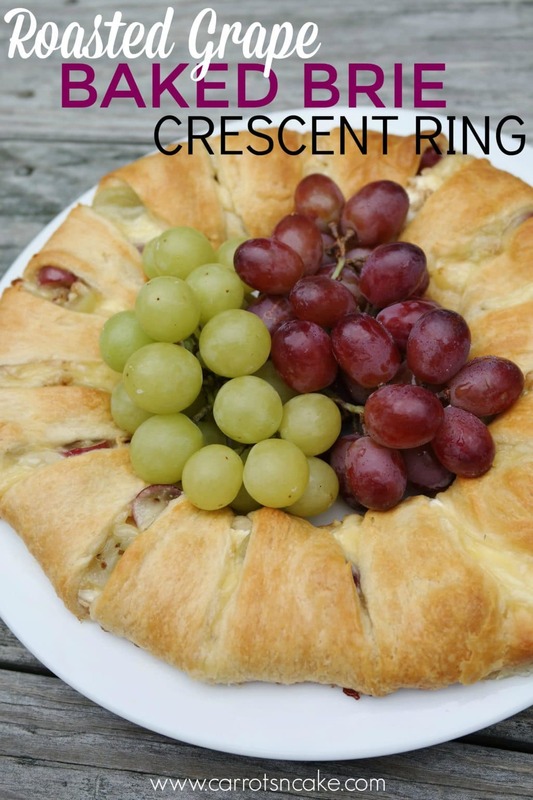 This Roasted Grape Baked Brie Crescent Ring is easy-to-make (if I can do it, anyone can! ), visually appealing (isn’t it pretty? 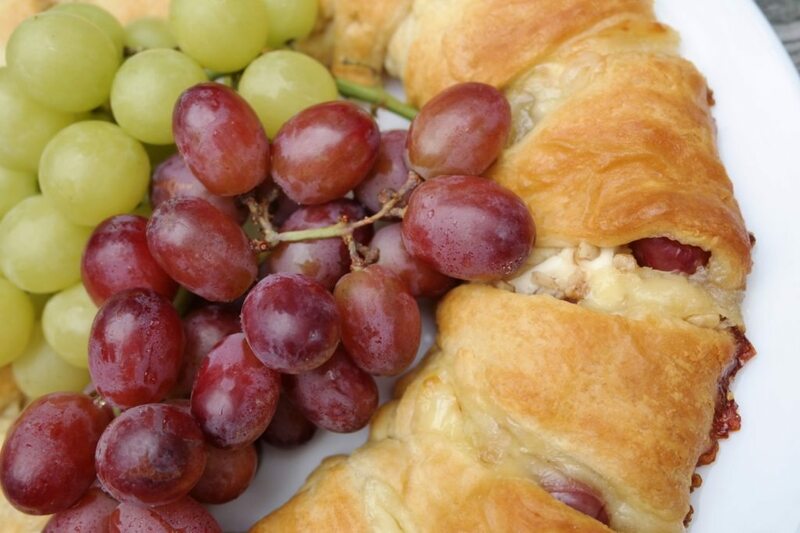 ), and crowd-pleasing (everyone loves grapes and cheese!). 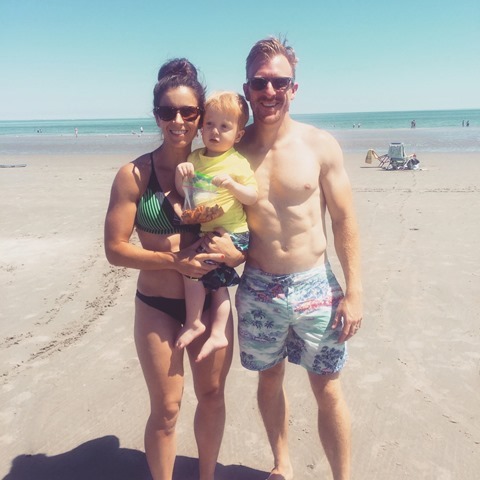 Guys, it’s a winner all around, and I hope you and your family and friends love it as much as we do! 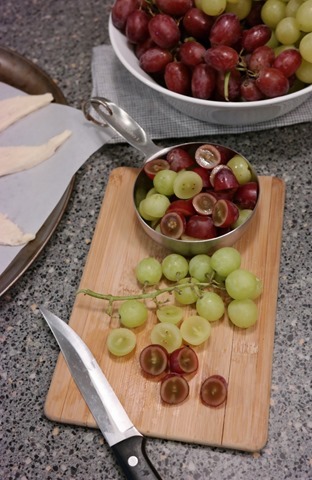 Slice grapes into bite-size pieces (in half, quarters, or smaller). Place grapes on top of cream cheese and Brie. 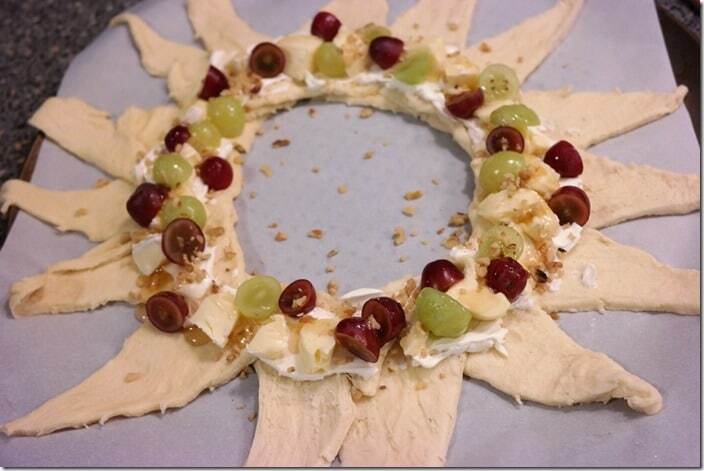 Then, sprinkle the dough ring with walnuts and drizzle with honey. 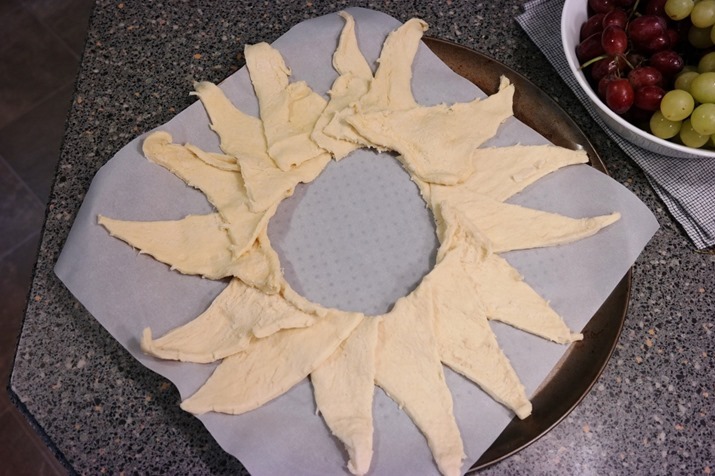 Bring each dough triangle up over filling and then tuck the dough under the bottom layer (of dough) to secure it. This blog post was originally published on October 26, 2016 and republished on November 11, 2018. 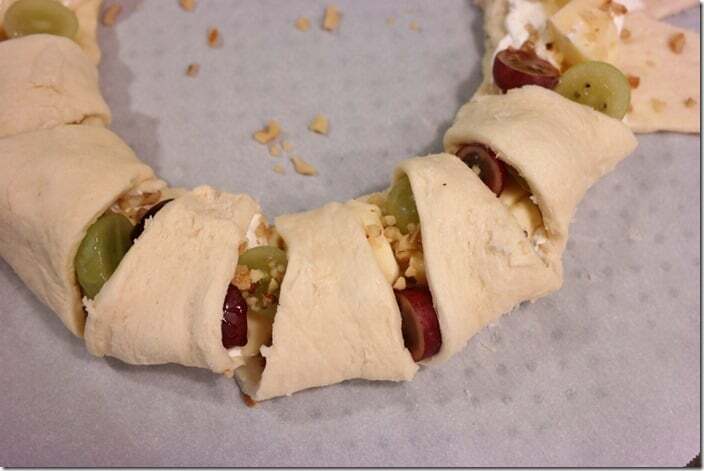 This is such an original idea and looks easy enough to make! I can’t wait to try it for the holidays! This is such a cool idea with the crescent rolls. I bet you could do a lot of different fillings. Chocolate is one that comes to mind for Christmas! Wow that looks way easier than you would think! 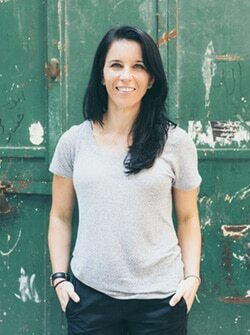 “Love serving something fancy secretly knowing it isn’t that fancy! This is gorgeous! 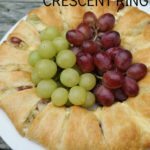 Love that it’s made with crescent rolls too so that it’s super easy! OMG – that looks delicious!!! 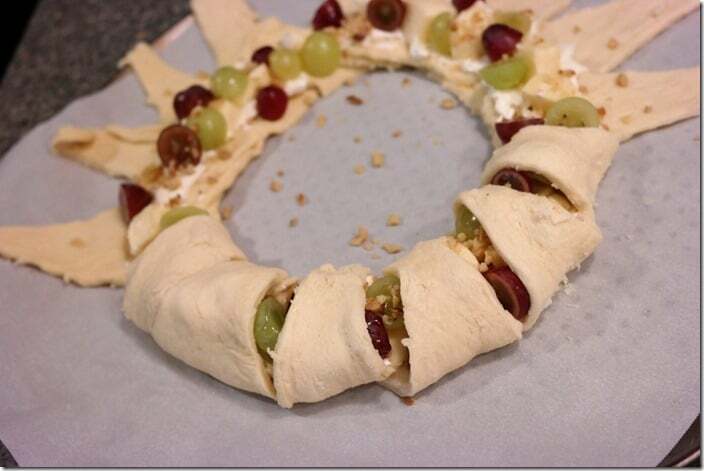 I’m totally making this for Thanksgiving. 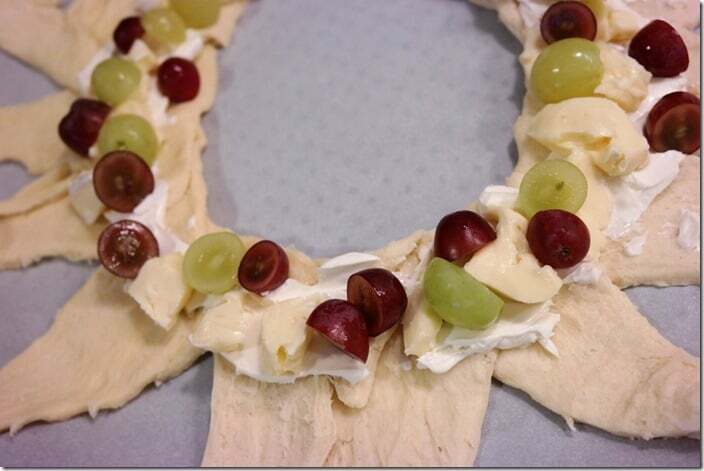 I LOVE brie…and melty? Even better!! 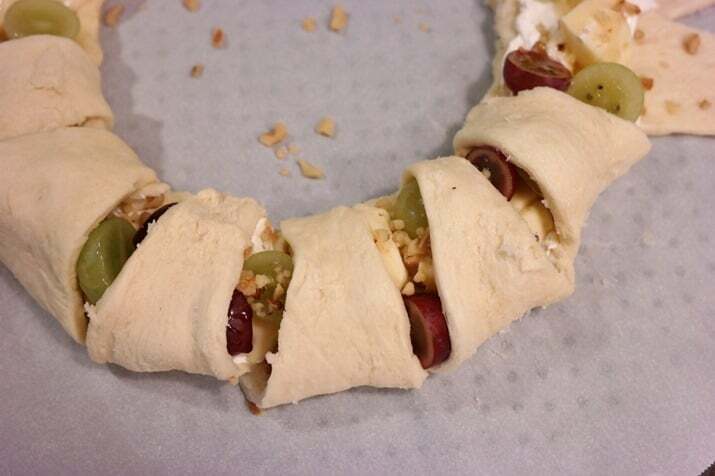 This looks amazing to have at a Thanksgiving Dinner. I am adding this to my menu! Suggestion for you, I wonder if you can make your receipts printable? I make a similar dish with ground beef, sauteed peppers and onions and cheese. There is nothing a crescent roll can’t do! Beautiful presentation and sounds yummy!! Beautiful and sounds delish! 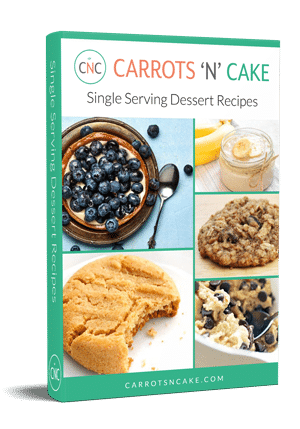 Fun to have a recipe more on the “cake” side than the “carrot” one. My mouth is actually watering looking at this! 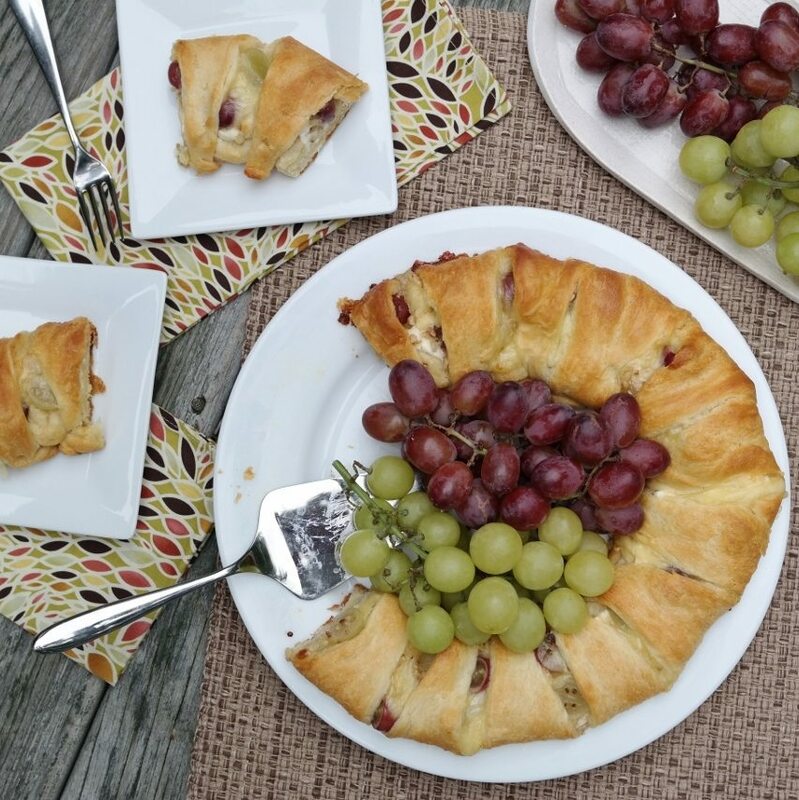 Pastry + cheese = two of my all time favourite things on this world! (Up there with coffee and wine of course). 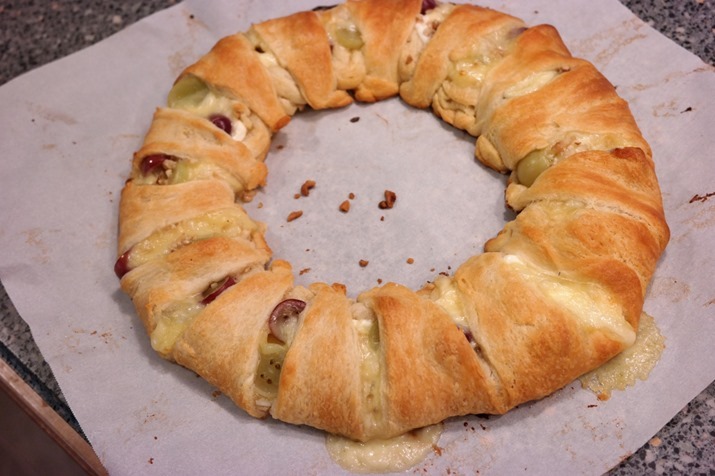 This looks beautiful and sounds delicious (and easy to make!). I’m going to Pin it to make this holiday season. I made this for Thanksgiving and it was awesome! 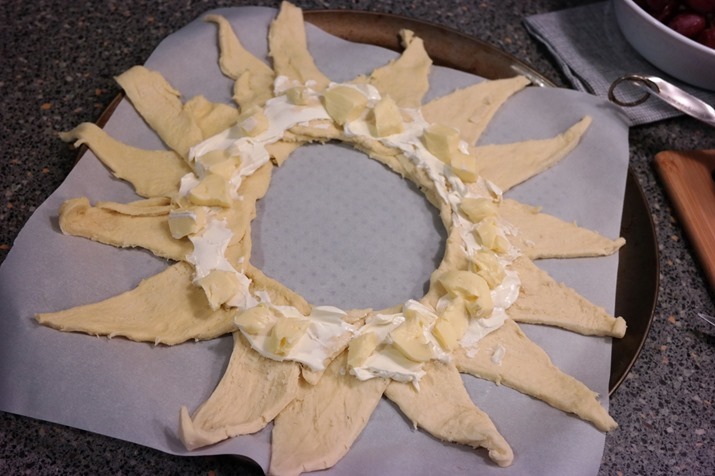 I cut it down in half, using just one tube of dough. 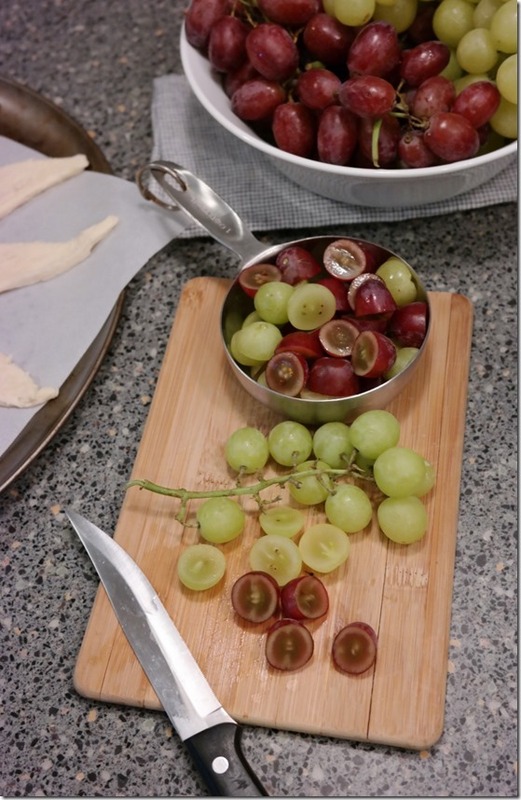 I used black grapes and now have a new love of warm grapes! We loved this and had what little was leftover for breakfast the next day. And since I had leftover ingredients (but no dough), I put the stuff on top of TOAST the next morning, and it was pretty good!! Just made this for an early Friendsmas and it was a hit! Wow!!!! 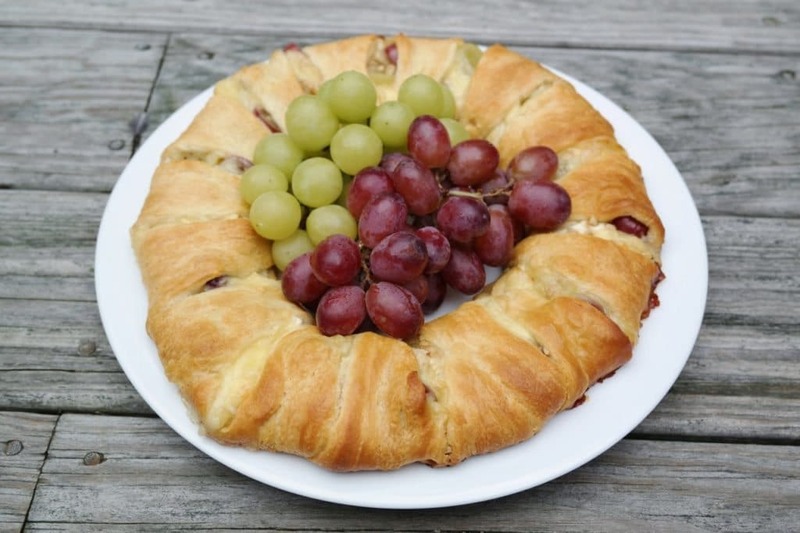 this really looks like heavenly food.How about adding fruits like (strawberry, apple, cherry) and with nuts to make it more delicious and healthy? ?